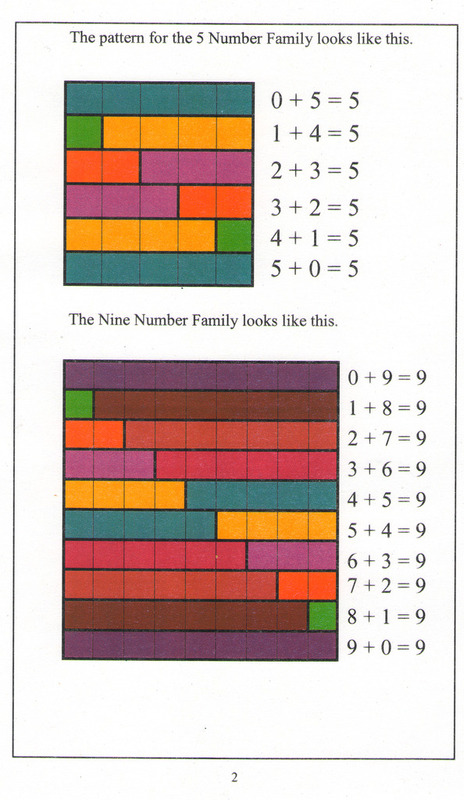 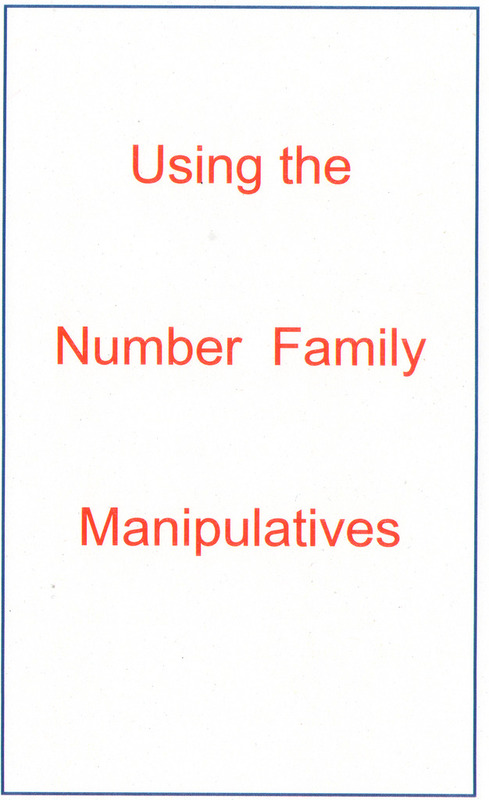 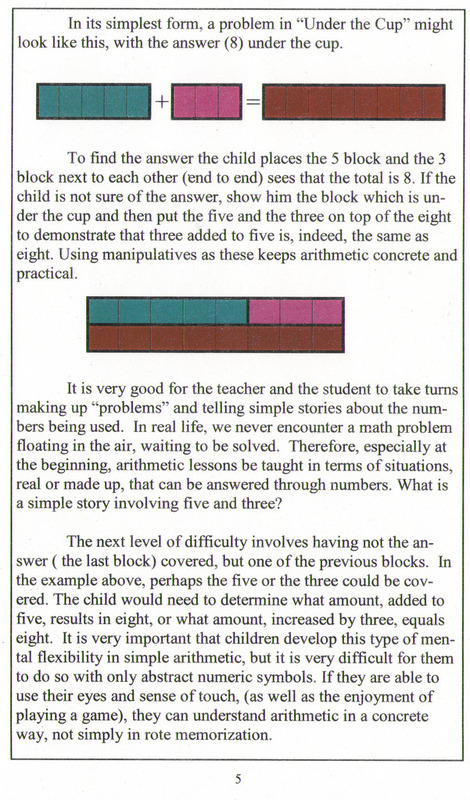 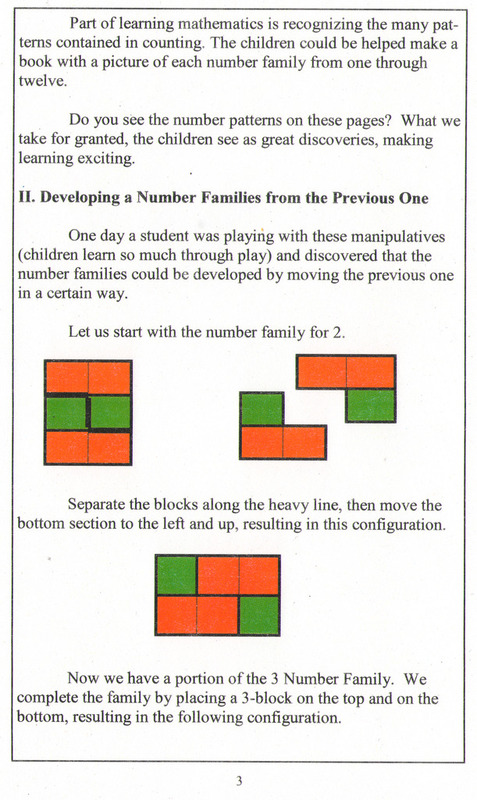 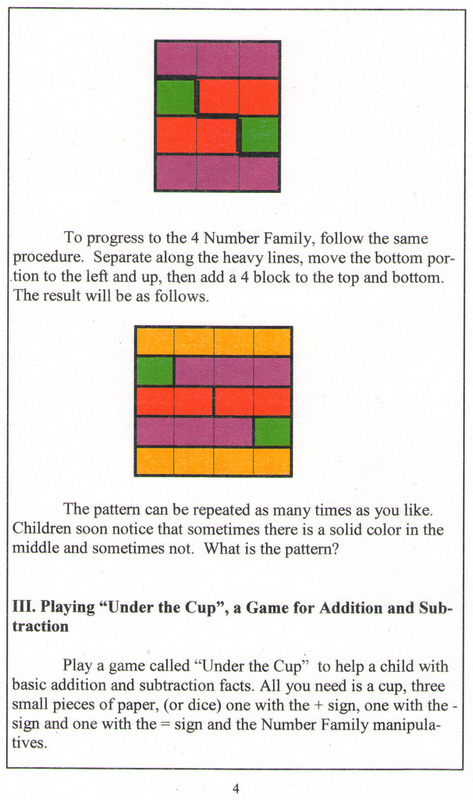 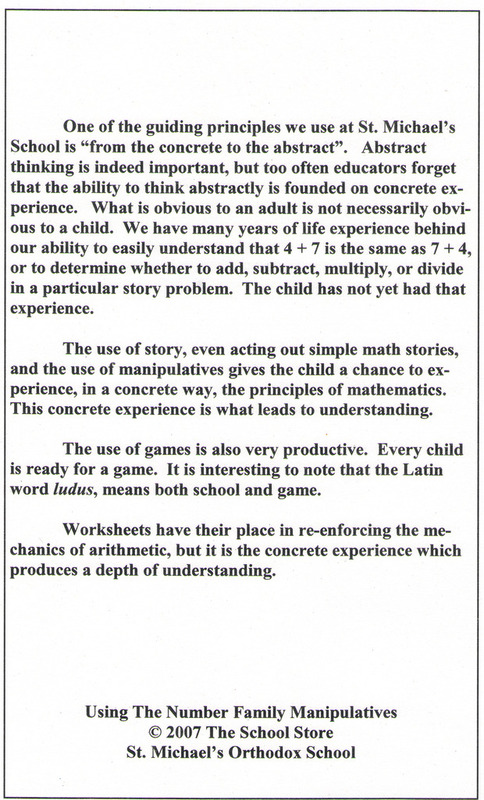 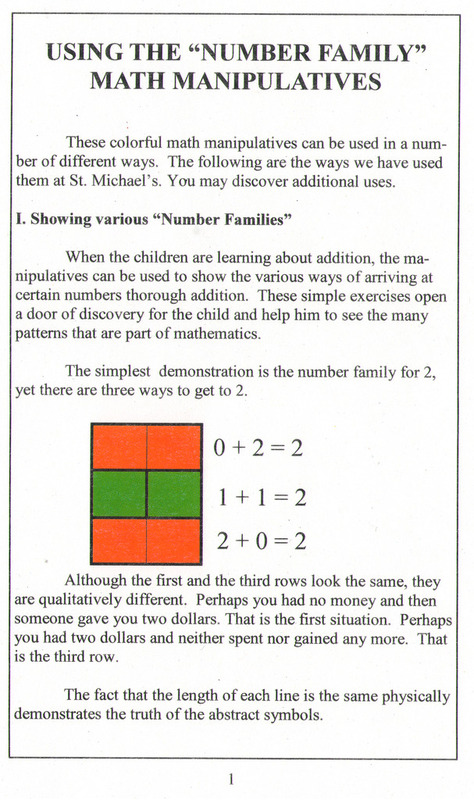 These are the pages of the booklet which comes with the Number Family manipulatives. 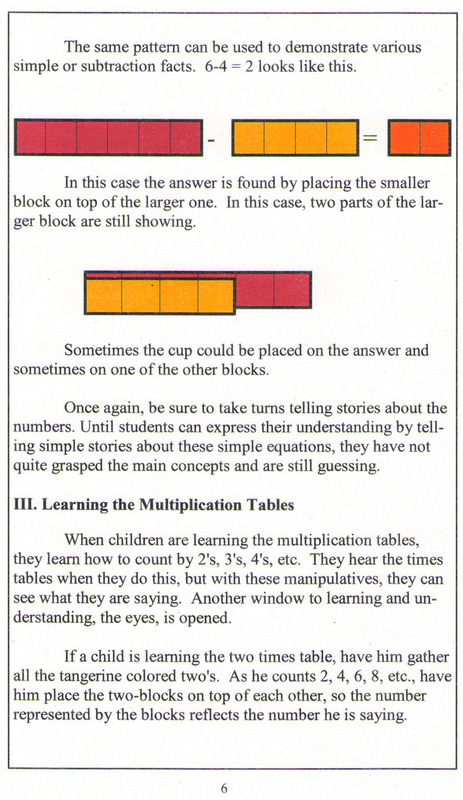 The booklet explains the various uses we have made of these manipulatives. 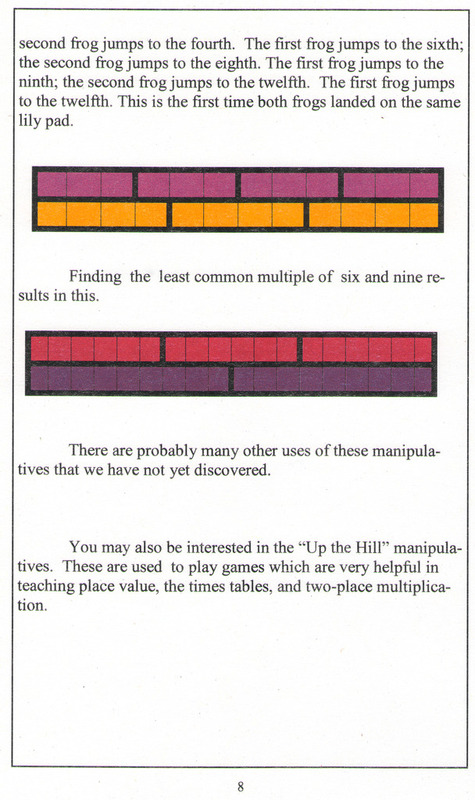 There are probably other uses yet to be discovered. 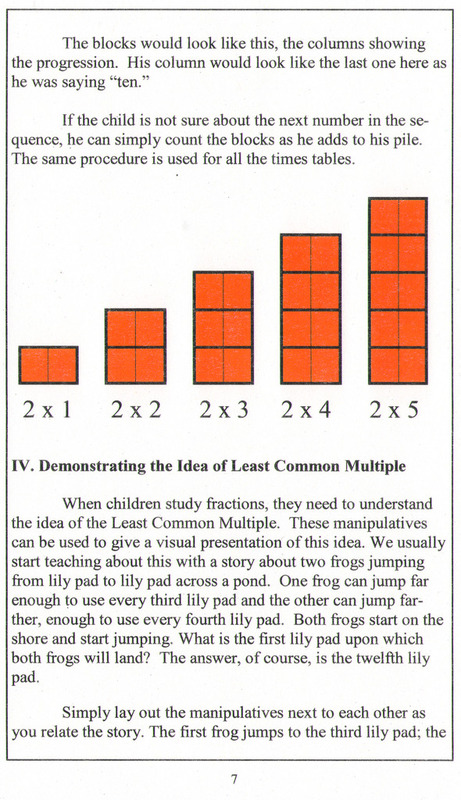 Clicking on the pages will make them larger.